"I've had another study abroad experience that I really enjoyed, but JYM is unique because it was a program that was designed a long time ago and the spirit of the program is different than what other study abroad programs offer." At JYM, tradition matters. 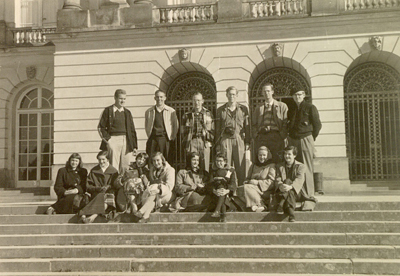 Students who study abroad in Germany with the Junior Year in Munich become part of a unique, distinguished tradition that emerged as a response to the devastating consequences of two world wars. Not only did the junior year abroad movement of the 1920s begin in Germany with JYM, but with the re-opening of JYM by Wayne State University in 1953, JYM became the first junior year abroad program in postwar Germany to promote German-American friendship and understanding. JYM today has gone far beyond its origins in the junior year abroad movement, and has kept pace with the changing institutional needs and academic interests of today's generation of study abroad students. Today the program operates both full-year and one-semester programs, offers internship experiences and incredible undergraduate research opportunities that were unimaginable when the program first started more than half a century ago. At the same time, JYM still insists on continuing the tradition of academically integrated study abroad – a program model that offers maximum opportunity for the academic, cultural, and social immersion of students studying abroad in Germany as German university students. For that reason JYM continues to remain a program conducted in the German language only. In addition, we also see ourselves as caretakers of the aspirations of JYM's founders, who believed firmly that JYM could indeed make a difference, not only in the lives of its students but also in transatlantic relations. And we take this seriously. To this end we engage students in a series of Transatlantic Conferences and Events at JYM that also set us apart from other study abroad programs. 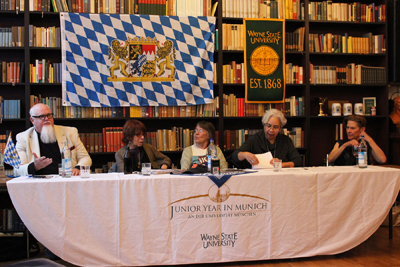 For more than 60 years, the Junior Year in Munich has provided its students with a unique, once-in-a-lifetime opportunity for personal growth, exploration and reflection – and all within a foreign environment which they first had to learn how to negotiate successfully, and all experienced and expressed in a language not their own. If you're ready to begin that journey, come to Munich with JYM! Explore the job and career resources available to you as alumni of JYM!